Good book. I had a front row seat in Japan while working for Shinsei Bank. 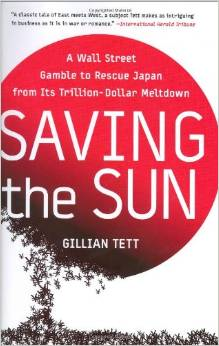 Gillian Tett provides an accurate summary here. She is the US managing editor of the Financial Times. Maybe I’ll write a book, too.